It was said earlier, that Samsung Galaxy S4 will be be equipped with 1.6GHz Exynos octa-core processor in some regions, and 1.9GHz Qualcomm Snapdragon quad-core processor in others.As per a new report by SamMobile, India is likely to get the 1.6GHz Exynos octa-core processor version. The same report states that most European countries will also get the 1.6GHz Exynos octa-core processor, while US and Australia will be getting their hands on the 1.9GHz Qualcomm Snapdragon quad-core processor.Some countries such as Malaysia, Korea, Saudi Arabia, United Arab Emirates, France, Germany etc. 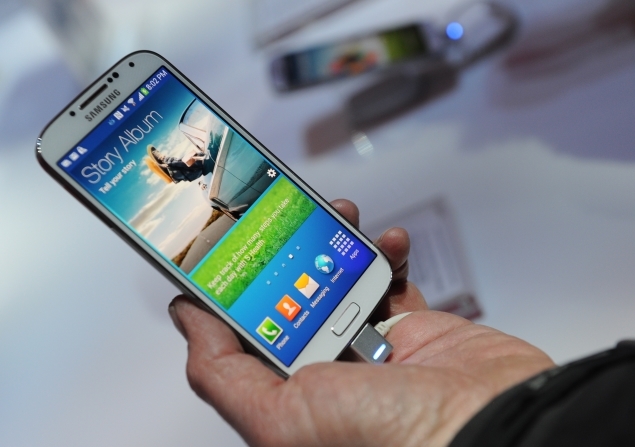 are expected to get both the versions of Samsung Galaxy S4. Samsung Galaxy S4 sports a 5-inch full-HD screen with a resolution of 1080×1920 pixels, and pixel density of 441 ppi. It has 2GB of RAM and a PowerVR SGX544MP3 triple-core GPU. It will be available in 16GB, 32GB and 64GB variants but will also feature a microSD card slot for expanding the memory. For detailed review on Samsung Galaxy S4 visit here. 24.1-megapixel DX-format CMOS sensor, Nikon’s 51-point AF system and wireless connectivity. Get most detail-rich images possible and brilliant HD video. ISO range of 100-6400 (expandable to Hi-2 of 25,600) – allows more versatile shooting to capture challenging conditions such as nature at twilight or even sports under less-than-ideal lighting. New 51-Point AF System with Multi-CAM 3500DX AF module. Autofocus & exposure comes with Nikon’s 3D Color Matrix Metering II 2,016 pixel RGB sensor and Scene Recognition System. You can shoot at up to six frames per second (fps) at full resolution and up to seven fps when using the new 1.3x crop mode at a slightly reduced resolution. New high resolution LCD screen is 3.2-inches, super high resolution of 1,229K dots. Spot White Balance allows for quick and precise white balance adjustment while shooting in live view. .
You can now share images with WU-1a Wireless Mobile Adapter.1 up to 49 feet away by downloading Nikon Wireless Mobile Utility app from Google Play for Android devices. With a press of the dedicated video record button, video can be recorded at 1080/30p, or at 60i/50i (in 1.3x Crop Mode) for optimal playback on many HDTV’s when connected via HDMI. 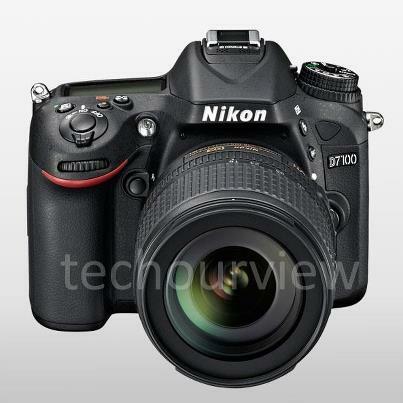 The Nikon D7100 will be available for sale in March 2013 with price of $ 1599.95 with AF-S DX NIKKOR 18-105mm f/3.5-5.6 VR lens or $1199 for body only.